This Saturday night in Atlantic City, a major bout in women’s boxing is taking place with undefeated middleweights Claressa Shields and Christina Hammer colliding to unify the entire division with the WBA, WBO, IBF, WBC world titles at stake. Showtime will televise. The fight is going head to head with a loaded night of boxing, with Jaime Munguia facing Dennis Hogan on DAZN, and Caleb Truax colliding with Peter Quillin on Fox Sports 1. And one night prior, Vasiliy Lomachenko will be taking on mandatory challenger Anthony Crolla on ESPN+. Eddie Hearn, who promotes several female fighters like unified champion Katie Taylor, explains his position on why Shields vs. Hammer is not as big as it should be. 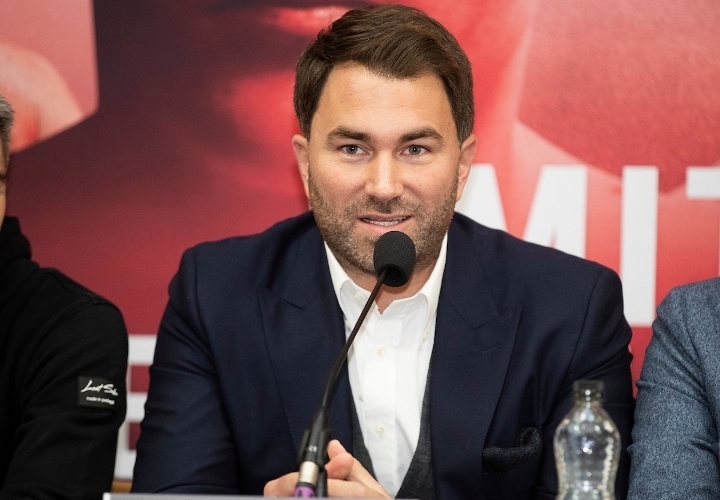 He believes the fight would be bigger if the contest had a “major promoter” behind it, with a large promotional structure – like Matchroom, Top Rank, Golden Boy or Premier Boxing Champions.